MCEE - Food, Parking, Setup, Cleanup Click here to signup. We will sign off your hours for community service. Be sure to bring your appropriate forms. 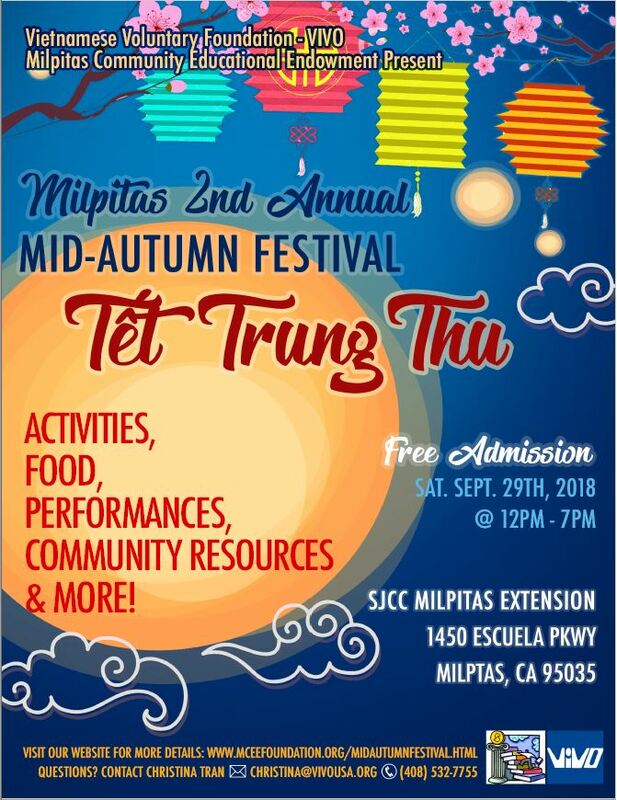 This year's Mid Autumn Festival will introduce you to Milpitas's own college campus, San Jose CIty College, MIlpitas Extension. Our tentative program will provide lunch, community resource information, performances and activities. Our finale will include showing off our handmade lanterns in our dragon parade. For more information, contact: Christina Tran: christina@vivousa.org or MCEE: info@mceefoundation.org.